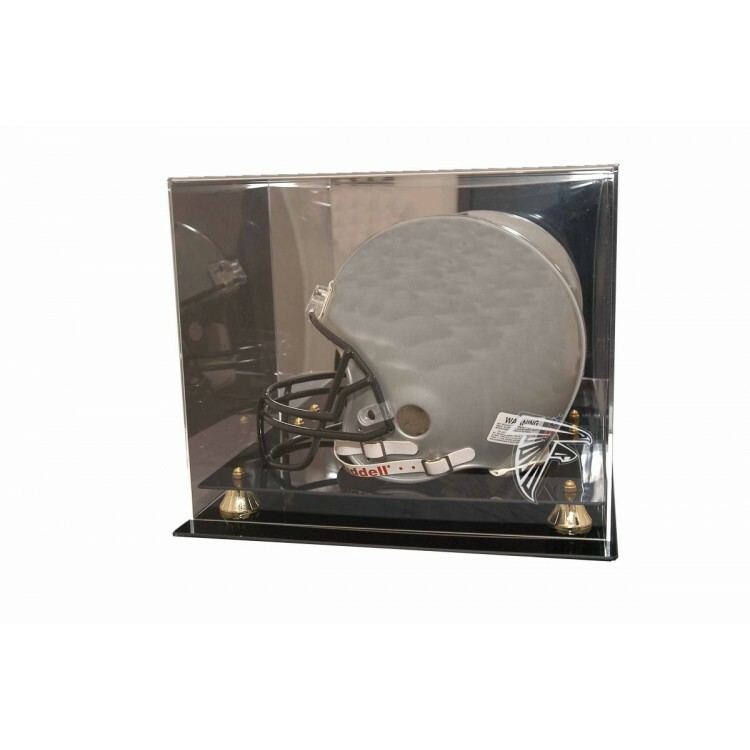 Ultimate collectors full size helmet case with mirror back. Includes your favorite NFL team logo beautifully engraved on the highest quality 1/8" cast acrylic lid. The base is finished in black acrylic with gold risers. Measures 12Â½"D X 15 3/4"W X 13Â½H. Helmet not included. Made in the USA. This game-used helmet was worn by Vince Williams during the 2014 NFL season. It is officially licens.. Proudly display your Tony Stewart 1:24-scale die-cast cars with this attractive acrylic case from Fa.. This program has been personally hand-signed by Hall of Fame third baseman Mike Schmidt with the ins..
Machine-Made Tufted. 100% Premium Nylon Pile. Made in the USA! James Madison 5'4"x7'8" College Team .. The cap display case is made of 1/8'' inch thick acrylic. It features a black acrylic base with a cl..
Scottie Upshall used this Bauer APX2 stick during the 2013-14 NHL Season. The stick comes with an in..
Great Catch! Display your favorite autographed baseball in this soft mini glove case. The mini glove.. The Oklahoma Sooners framed collectible features a five-color-photograph collage and laser cut team ..
Our boardroom collection features a exclusive, custom designed mahogany base profile for the serious.. This game-used jersey was worn by Daniel McCullers during the 2014 NFL season. It is officially lice..
Slam Dunk! Ultimate collectors high style basketball case. Black acrylic base with gold risers.Measu..